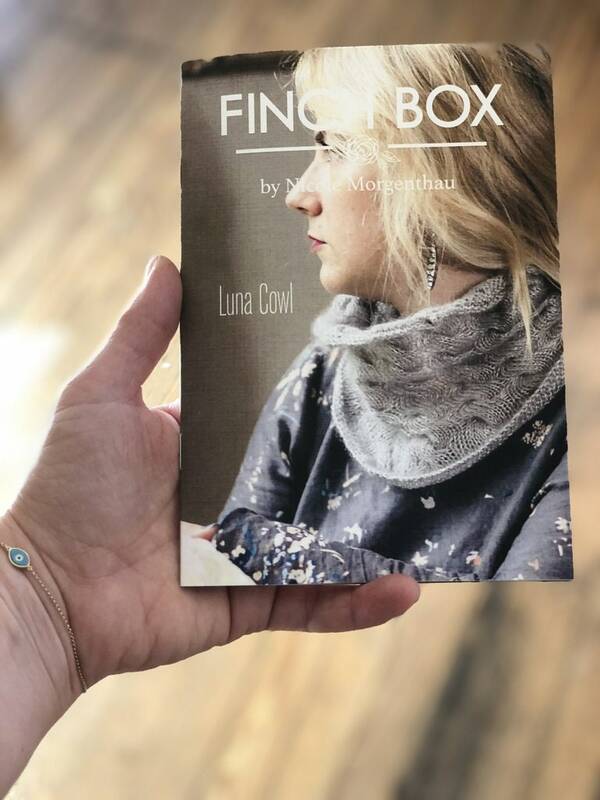 The Luna Cowl, a scrumptious neck warmer composed entirely of cables, was originally written for a Fyberspates "Faery Wings" sport weight yarn but can easily be modified to accommodate other weights as well. Written by Nicole Morgenthau. 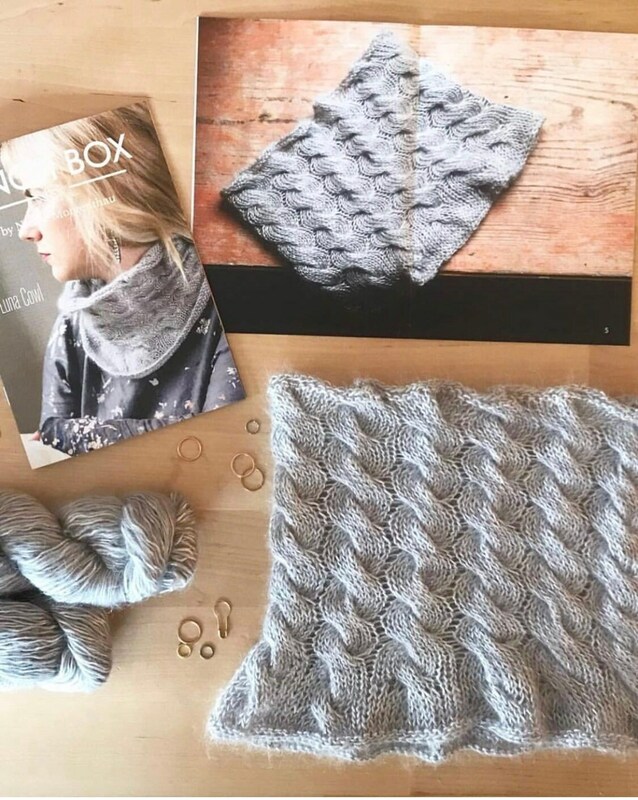 This kit includes the full color pattern, printed on super sturdy paper able to handle being tossed in project bag time and time again, as well as, one skein of Fyberspates "Faery Wings", enough yarn to complete the cowl! This pattern book includes step by step instructions, and full color photos to help you though every step of the way.